As I have created my own digital system, one of the most influential things in the process has been reading case studies of what others were doing. I can pick and choose what I like from each setup, and form my own conglomeration. What I plan to share with you today is what currently works for me. It may not work for everyone, but hopefully there is something here you can take away. I will also be posting about these apps individually much more in the future, so I wanted to introduce them all to you now to lay a framework. It is important to note that my current setup involves a Mac, iPad, and iPhone. All 5 apps listed here are available on Mac and iOS and will sync via a cloud service. Several of these apps are Apple only, but will have Windows or Android equivalent. I’ve already written a few posts here about Evernote. I use it as my Digital Filing Cabinet. 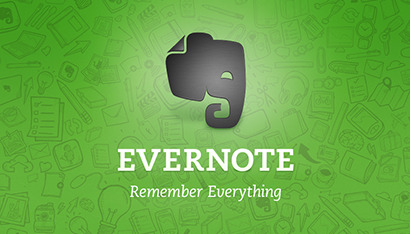 Evernote’s motto is “Remember Everything,” and that’s what I use it for. I keep as much of my personal, school, and work life stored in it as I can. Receipts, serial numbers, school assignments, class notes, reading material, and sub notes for teachers are all kept there so they can be referenced at any time. Evernote syncs via their own cloud server so everything stored in the app can be accessed from anywhere including Mac, Windows, iOS, Android, and web. Evernote is free to download, and offers 60mb of upload a month for free customers. They also offer a premium subscription for $5 a month or $45 a year which gives you 1GB of upload a month, and a slew of other useful features. Between grad school, full time work, launching a blog, and trying to maintain a healthy marriage, I need help keeping up with all of the tasks I have. Omnifocus is the app that helps me do that. It’s based around David Allen’s book Getting Things Done which I highly recommend. Omnifocus is definitely the most expensive app on the list coming in at $80 for the full Mac app and $20 for iPhone, and it also has the steepest learning curve. Don’t let that intimidate you. If you need help keeping your tasks organized, and more importantly, help completing them, this app is a great investment. 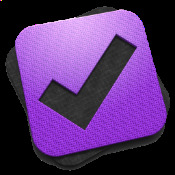 Omnifocus 2.0 just released at the end of May with a completely new interface, a new forecast view to help you better see what tasks are due soon, and many more features. I am slightly cheating by including iWork in a top 5 list because iWork is Apple’s suite of 3 apps featuring Pages (word processor), Numbers (spreadsheets), and Keynote (presentations). However, these apps are too important to not include, and they keep getting better. So why would anyone use these apps over Microsoft Office? First and foremost is price. All iWork apps for Mac and iOS are free (if you have purchased a new device since Sept 2013). Second is Apple’s specialty in design. Their style has led to many beautiful and useful templates and workflows. Apple also closely ties these apps in with iCloud making all of your files available instantly on all devices (including iCloud.com which also allows simultaneous collaboration). With the release of iOS 8 and OS X Yosemite this fall, the iWork suite will gain new continuity functionality allowing users to begin a document on one device and pass it to another automatically. As a graduate student keeping up with papers, presentations, financial info, and more, these apps are irreplaceable to me. Skitch is an Evernote app made for quick sharing of information. It allows you to take and annotate pictures or screenshots to quickly share, teach, or edit. You will more than likely see many Skitch edits on pictures throughout this blog because it makes it so easy to visually convey info. For example, I made the following screenshot of how to save a Pages for iCloud document as a PDF, and blurred my professor’s name for her privacy in about 30 seconds. Skitch is free, but has a few extra features for Evernote Premium subscribers. 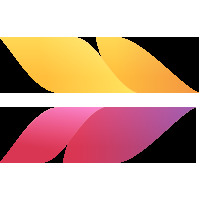 MindNode was originally an app I bought to help me brainstorm in songwriting sessions when I was a professional musician. However, it has proved its worth far more in my academic career. MindNode is an app for mind mapping. I have used it for brainstorming everything from papers, to blog posts, to what tags I will need when I converted my Evernote organization system. There are a few things I like about MindNode instead of just drawing a map in a notebook. First, I cannot draw. If I am working quickly like I usually do when I brainstorm, it would be illegible. As someone who can type quickly, MindNode helps me get ideas out fast and doesn’t get in my way. It also has a Smart Layout feature that moves your “nodes” out of the way of each other as your map grows making it far more flexible than a paper map. That’s my list. I hope it’s useful and helps you get your work done. Do you use any of these apps? Do you prefer others? What helps you get your work done? Let me know in the comments.